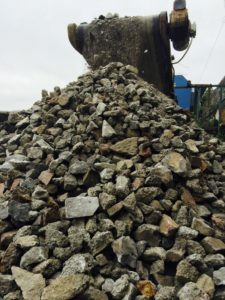 In Ireland, planning authorities are empowered under section 34(4)(1) of the Planning and Development Act 2000 (DoEHLG, 2000), to attach conditions to construction and demolition waste management including the preparation of Site Waste Management Plans (SWMP) for projects over certain thresholds. Civil Engineering projects producing in excess of 500m3 of waste, excluding waste materials used for development works on the site. Detail the benchmarking methodology to be used. ECOS were commissioned by our client, a property developer, to prepare and submit a waste management plan to the local authority such that a commencement order could be granted in relation to the proposed refurbishment of a commercial premises. Engagement with the local authority to establish the level of detail which they required for the site specific waste management plan. Development of a scope of works and project plan to address the requirements of the local authority. Identify and quantify all waste streams including those which would remain on site. Identify suitably licensed facilities to which other waste streams could be transported off site. Draft procedures and practices such that all waste could be documented to the satisfaction of the local authority. Preparation and submission of a site waste management plan which addressed the concerns of the local authority and facilitated the granting of the commencement order for site redevelopment. For more information on your requirement for a waste management plan please contact us. ← Waste Facility Permit – Is yours up for renewal?